Henry Selick and Tim Burton must have been separated at birth. It is the only explanation for these two cinematic kindred spirits. The pair have (inevitably) worked together, and their styles are incredibly complementary to each other, but there is a crucial difference. Selick, far more than Burton, has the eye of a child. A twisted child at that, but a hugely imaginative one. With Coraline, Selick adapts from the novel by literary soulmate, Neil Gaiman. It is a story of a young girl who has moved to a remote new home, living with her parents who aren’t sparing much time for her. The girl is Coraline and she is bored. Very bored. As she seeks something to keep herself entertained, she discovers a strange door in one room which at night she is able to go through. On the other side, she finds a beautiful and wonderful parallel world where everything is better, but where everyone has buttons for eyes. She soon realises that all may not be as sweet as it seems. It goes without saying that this is a visual delight, but there are also many riches to be found in the voice cast, in particular Teri Hatcher who, as the creepy “Other-mother”, seems to bring forth all the pain her soul must have endured making endless “What-am-I-going-to-do-about-Mike?” episodes of Desperate Housewives and delivers a really terrifying performance. It is impossible to convey in words her unnerving her voice in this film. It is also a bit of a refreshing piece for a children’s film as it doesn’t aim to be funny first-and-foremost, but leans rather more towards horror as its priority. 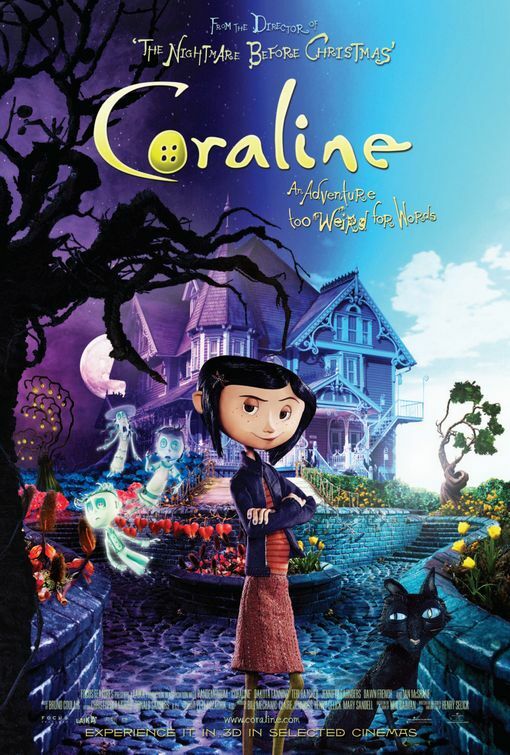 Coraline is an attractive character and thoroughly engaging, but the story she follows, whilst it has great charm, will set you on edge. Creepy is most definitely the word. There is no condescending to the children here. Some greeted this with rave reviews upon its first release, but its star has faded. A stone-cold classic this isn’t, but it has many of the ingredients of a much treasured film. Much like an upcoming film in this festival, One of Our Dinosaurs is Missing, it has the potential to become a children’s cult favourite many years down the line.